Most people try intermittent fasting as an effective and sustainable way to lose weight, or to boost their energy levels, reduce hunger or even inflammation. But I actually started intermittent fasting 3 years ago because it can have a really positive impact on your gut health. But before you go any further with this blog, I just want to point out that intermittent fasting is not a magic cure for your gut issues or for your weight loss goals. If you suffer from a specific gut problem, working with someone who specialises in gut health is important. Intermittent fasting can definitely complement and enhance those gut-healing efforts for some people (but it’s not for everyone). If you would like individualised advice and guidance with practicing intermittent fasting, diet and gut health, I offer one-on-one consultations. I’ve seen so many of my clients get amazing results, and more importantly, sustain those results over time. In a nutshell, intermittent fasting is going for a select period of time without consuming any food. Most of us fast everyday without realising it (it’s called sleep!) but this method, lengthens the duration of the fasted state in a bid to recalibrate the digestive and metabolic systems. Plus there’s a whole heap of health benefits, but we’ll get to that soon. WHAT IS THE BEST WAY TO FAST? There’s actually a few different ways you can fast. Figuring out which method best fits your needs can be overwhelming, which is why i've broken down each one below to make things simpler. However, you can adjust the ‘eating’ window to make it work for you. Essentially, the easiest method of practicing intermittent fasting is to skip breakfast and make lunch your first meal of the day. This way of fasting is ideal for someone who typically doesn't have time for breakfast, or who isn’t hungry until later on in the day. Where you eat normally for 5 days of the week and restrict your calories to 500-600 calories for the other 2 days of the week. This method involves fasting for 24 hours 1-2x per week. Generally you fast from dinner one day to the next, however it can also be done from breakfast or lunch one day to the next as well. As its name suggests, this method of fasting requires fasting for one day, eating normally the next day, and so forth. This way of fasting would be great for someone who socialises a lot and who wants the flexibility of fasting on the days that suit them best. Where you fast all day long and only eat one huge meal for dinner and/or a snack all within a 4 hour window. You can fast for a period of anywhere from 2 days to 7 days. This would be great for someone who is sick (however I would recommend medical supervision for extended fasting) as you need to make sure you’re still nourishing your body and getting plenty of electrolytes. Where you drink 1-2x Bulletproof coffees in the morning as a replacement for breakfast. Your first meal of the day will be lunch. This way of fasting is great for those people who can easily skip breakfast, for women as it can support hormonal balance, satiety, blood sugar balance and boost your brain function and energy levels. A bone broth fast is a type of modified intermittent fast that involves taking a break from solid foods and consuming only bone broth throughout the day. Bone broth is packed with minerals as well as amino acids making it the perfect addition to extended fasting that will keep electrolytes from being thrown off. It’s also incredibly supportive of gut health and can be used as a tool when experiencing an autoimmune flare or recovering from food poisoning or the flu. The word derives from the Greek auto (self) and phagein (to eat). So the word literally translates to ‘self-eating’. Essentially, this is the body’s mechanism of cleaning out damaged cells and toxins so it can help you regenerate newer, healthier cells. Researchers believe that when you activate autophagy it has anti-aging benefits, prevents or delays neurodegenerative diseases as well as reduces inflammation, potentially fights cancer and other chronic illnesses and boosts your body’s natural ability to function. Autophagy is active in all cells but is increased in response to stress or nutrient deprivation (fasting or starvation). This means you can utilise “good stressors” like exercise and fasting to boost your body’s inherent autophagy process. Your body can remove toxin build up with a 16-28 hour fast. Fasting is the ultimate way to limit and help control the body’s insulin production, and the latest research also suggests that fasting could play a part in the prevention of obesity and Type 2 diabetes. Fasting stops the body from needing to produce insulin for the period of the fast. By fasting intermittently, we’re able to normalise our blood sugar levels and lose weight because fasting teaches our body to produce only the insulin it needs to function (something our body does naturally, unless the process is disrupted by too many starchy and sugary foods). A low-carb diet also works in a similar way, offering an impressive 70% of the insulin lowering ability of fasting. Used in tandem, the two are very effective, and a low carb diet actually makes fasting easier because you’ve already turned on your body’s fat burning switch, while fasting enables your body to get the maximum benefits from eating this way. One of the major benefits of intermittent fasting is that it can increase fat burning and weight loss by forcing your body to use up fat stores as fuel. When you eat, your body uses glucose (sugar) as its primary source of energy and stores whatever is left over as glycogen in your muscles and liver. When you don’t give your body a steady stream of glucose, it begins breaking down the glycogen to use as fuel. After the glycogen has been depleted, your body seeks out alternative sources of energy - fat cells, which it then breaks down to help power your body. This is similar to the keto diet, in which you deprive your body of carbohydrates and force it to use up stored fat for energy. A 2015 review looked at the effects of alternate-day fasting on body composition and found that, it reduced body weight by up to 7% and a 24 hour fast led to similar results, but with up to a 9% reduction in body weight. Another study focused on the 16/8 method of intermittent fasting showed that it significantly reduced fat mass while retaining both muscle mass and strength. Intermittent fasting also boosts protein, fat, and glucose metabolism in animal studies. Boosting your resting metabolism helps your body burn more calories throughout the day, even while you rest. Fasting also increases your levels of adrenaline and noradrenaline, hormones that help your body free up more stored energy (that’s your body fat) during a fast. Fasting encourages your body to produce ghrelin. Ghrelin is the hormone that is responsible for signalling that you’re hungry, and it’s also involved in your metabolism. Longer periods of fasting can also reduce systemic inflammation. Also, people with low-grade inflammation have a problem with their systems releasing cytokines. Cytokines encourage your immune system’s inflammatory response, and the constant presence of cytokines furthers the inflammatory cycle. When you fast, the natural levels of pro-inflammatory cytokines along with various immune cells can reduce inflammation. Intermittent fasting can work to increase your mental clarity and prevent cognitive decline. This is especially important as you age. Intermittent fasting can encourage the growth of new cells in your brain + it also encourages your brain to produce and use higher levels of brain-derived neurotrophic factor (BDNF). BDNF is essential for having strong mental clarity, and it also works to help prevent extreme lows in your mood. Two other ways that intermittent fasting can help with mental clarity is by protecting the brain cells against damage due to oxidative stress and by increasing insulin sensitivity. This encourages your brain cells to produce helpful enzymes to fight against diseases. Intermittent fasting has positive influences on Neurodegenerative diseases like Parkinson’s and Alzheimer’s. One study showed that fasting could potentially delay the onset of Alzheimer’s disease, and another study showed that it significantly improved Alzheimer’s disease symptoms over time. Intermittent fasting can be a powerful tool to help you fight depression. For starters, studies show that cycles of fasting can improve feelings of anger, confusion, tension and the overall mood of the study participants. Since intermittent fasting encourages your body to produce higher levels of Ghrelin, this can increase the amount of dopamine present in your brain. Autoimmune conditions and diseases are a result of an overactive immune system or dysfunction in your immune system. Promising studies show that people who practice intermittent fasting once every three days in a cycle have a greater autoimmunity symptom decrease than people who don’t practice fasting. This is because fasting promotes cell regrowth and regeneration through autophagy and cleans up the damaged cells, it also helps to reduce any the inflammatory response caused by the autoimmune disease. Women tend to be more sensitive to intermittent fasting than men, and this is because women are sensitive to signs of starvation, especially if they’re not fasting correctly. This is why I recommend consuming a Bulletproof coffee in the morning because the fats in it tell your body you’re not starving, but you can still remain in a fasted state. Plus your body utilises fat for everything from building immune function to activating and balancing hormones and blood sugar balance requires fat. This it the fasting practice i personally use and I’ve found profound improvements with my own hormones. However, it's important to remember that no two women are exactly alike. Clinically, I find that some women do great with intermittent fasting & Bulletproof coffee, like myself, and some don't. Does this mean that those who’s cycle changes with intermittent fasting shouldn't do it at all? Not entirely. It may just require a gentler approach. For example some of my clients get the best results only fasting 1-2 non consecutive days each week (you can read more about this in the Q&A section below). 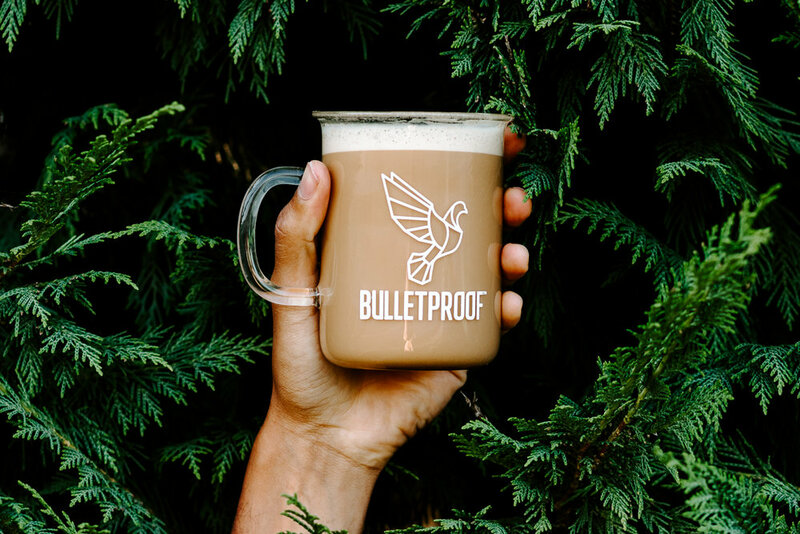 For more information on Bulletproof coffee, read my blog ‘Bulletproof Coffee - The Latest Bio-Hacking Trend + A Supercharged Coffee Recipe’. Ok so now we can talk about the juicy bits, the following reasons are why I personally practice intermittent fasting. Fasting also gives your digestive system a break, and when you’re not eating inflammatory foods such as refined sugar and carbohydrates, the beneficial bacteria in your digestive system have a chance to rebalance— which is key for avoiding painful digestive symptoms, such as gas, bloating, and irregularity—and more serious GI conditions, such as candida (yeast) overgrowth and gut dysbiosis. This is because sugar and refined carbohydrates feed the bad bacteria in your digestive tract that can wreak havoc on your system when they overpopulate, and there’s a lack of good bacteria to keep them in check. When you get run down or tired, your body becomes more prone to infections and illnesses. Promising studies show that having a fasting cycle can help to stimulate and boost your immune system. Other studies also showed that intermittent fasting can encourage your brain to maintain cognitive function and suppress inflammation during an illness or infection. Fasting also appears to encourage your neutrophils phagocytic cells to go after the bacteria that causes infection rather than the refined sugars and starches in your diet. This reduces the number of infectious bacteria in your system, and it reduces the chances of you getting an infection. Additionally, fasting encourages your body to maintain healthy glucose levels. Bacterial infections need higher levels of glucose to survive, and fasting ensures that there aren’t excessive levels available for the bacteria to feed on. Poor gut health and chronic inflammation go hand in hand, and poor gut health can be an instigator for various other health problems ranging from joint pain up to brain fog. Intermittent fasting stimulates the production of Motilin and Ghrelin. This amino acid and hormone are responsible for regulating your appetite and regulating your bacteria levels in your gut. They also encourage your system to secrete gastric acid to get it ready to extract nutrients when you eat. This can help to keep your digestive tract working in top form and it can also reduce the chances of having things like abdominal pain, bloating, diarrhoea and nausea. Since it regulates your digestive tract bacteria levels, you’ll have a decreased risk of ending up with inflammation or cracks in your digestive tract lining. In turn, this can help to prevent system-wide chronic inflammation or the chances for ulcer development. Coffee is also beneficial to drink while fasting because it encourages autophagy (aka cellular garbage disposal) and it promotes a healthy gut because each cup contains 1.5g of prebiotic fibre. Coffee can also encourage a more diverse microbiome - a diverse and healthy gut microbiome can boost the immune system, regulate blood pressure and it’s also been shown to improve mood and mental health. With that being said, please note that practising intermittent fasting is no magic bullet. Intermittent fasting is more like the icing on the cake. If you’re eating processed foods and McDonald's daily, then it’s unlikely you’ll reap the health benefits noted above. It’s not going to magically make you reach your weight loss goals, cure your autoimmune disease, or gut issues, at least not by itself. If you think you might need individualised support and guidance regarding intermittent fasting, I would highly encourage you to book a one-on-one consultation with me or your chosen practitioner because it’s important that you’re consuming nourishing whole foods when you’re not fasting, sleeping well, managing your stress levels, getting out into nature and moving your body daily. Q - Can I eat or drink anything while fasting? A - As you can see from the list above, there are many types of fasts and each one has its own rules and guidelines. However, water is essential for all fasts. You can also drink other liquids such as herbal teas, black coffee or a bulletproof coffee and some fasting protocols allow bone broth and fresh juices. It may seem counterintuitive but some fasts also allow cooked foods such as pureed veggies, soups, fruit and even rice. Q - How should I break my fast? A - While fasting is great, keep in mind that the way you break your fast is just as important. It’s completely counterproductive if you fast and then immediately binge on unhealthy foods. In other words, I don’t recommend that you break your fast by going through the drive-thru or eating a bunch of processed, packaged foods. Try a meal with plenty of protein, vegetables and healthy fats to break your fast. Your body will thank you and you’ll feel so much better for it! Q - I have adrenal dysfunction. I’m stuck in a stress response with high cortisol, high insulin, overweight/obese, fatigued, hypothyroid/Hashimoto’s. Would you still recommend intermittent fasting for me? A - Fasting is not useful for lowering cortisol – only insulin. Fasting is a stress upon the body, just like exercise. Both are good in correct doses and with appropriate use. So if excess stress is your problem, then no, I don’t think fasting is the answer. Decreasing the stress (cortisol) response does not depend upon the diet. Yes, excess stress may make you gain weight, but you need to deal with the underlying cortisol. Meditation, yoga, breathing, proper sleep, acupuncture are all methods of altering the stress response. Q - Can you drink bone broth while fasting? A - There is actually a fast called a bone broth fast which is incredibly healing as it contains numerous minerals, vitamins and of course collagen and gelatin which soothes the gut lining, reduce inflammation and aids in healing leaky gut. Q - What about fasting for women? A - I personally recommend to many of my female clients to use the Crescendo Method. Where you practice fasting for 12–16 hours for 1-3 days a week. Fasting days should be nonconsecutive and spaced evenly across the week, for example; Monday, Wednesday and Friday. Q - Can Anybody Fast? Pregnant and/or lactating mothers – growing and feeding humans is a full-time job; you need all the nutrients you can get! If you have a known illness or Type 1 Diabetes – it would be wise to chat to your chosen health care practitioner for support and guidance, especially if you run the risk of hypoglycaemia. Teenagers and young children – their bodies are growing and hormones are constantly changing. They also need a continuous supply of food and nutrients. If you have had a past history of an eating disorder – fasting is not recommended as it could act as a trigger. If you have chronic stress, anxiety, sleep issues or severe gut issues – please consult your chosen health care practitioner as going without food can sometimes trigger your stress response, so it’s important to stay in tune with your body at all times. Q - How Does Fasting & Drinking Bulletproof Coffee Work? A - Many people drink 1-2 Bulletproof coffees instead of eating their breakfast because it’s a handy alternative fuel source that can be used for convenience during a busy morning. Or you can drink it if you’re practicing intermittent fasting. However, adding in either collagen or gelatin powder will break the fast (see more detailed information below). Q - If I add gelatin or collagen to my morning bulletproof coffee or matcha latte, will that break my fast? A - As much as I love and recommend adding in either collagen or gelatin to your morning bulletproof coffee or matcha, it is pure protein so it will break the fast. According to Mark’s Daily Apple, protein inhibits autophagy. This means that collagen/ gelatin in your coffee during a fast is probably fine for fat-burning (and may suppress appetite, helping you fast for longer) but it will reduce the benefits of autophagy which plays a key role in your body’s ability to detoxify, repair, regenerate itself, dampen inflammation, slow down the aging process + more - the easiest way to do activate autophagy is by practicing intermittent fasting. Q - I don’t drink coffee, what are some alternatives I could drink while still practicing intermittent fasting? A - You could try a bone broth fast, just drink filtered water or you could try a dandelion bulletproof (just replace the coffee with dandelion tea instead). Q - Should I exercise before or after fasting? A -Why not try exercising while fasting vs. exercising after food and see which one you personally prefer and what your body responds best to. Q - Sometimes I drink Bulletproof coffee and I get the shakes. I’m guessing this is because I should break my fast sooner and i’ve let my blood sugar drop too low? A - Refined carbs and sugar can cause blood sugar fluctuations and imbalances, and this may leave you more prone to experiencing unpleasant symptoms during fasting, such as lightheadedness and irritability. So yes, if you have a higher carb diet than it is likely you could experience blood sugar fluctuations while fasting. It’s also really important to stay in tune with your bodies needs. They will change each day and some days your body may not want to fast, or sometimes you’ll need to break your fast earlier, especially if you get the shakes. Above I talked about how some women don’t do well fasting each day and respond much better to fasting only a few days each week (on non-consecutive days). So perhaps you could try that and see how your body responds. Q - Is fasting going to make me healthy? A - Fasting isn’t a replacement for following a healthy diet. In fact, if you have processed foods, such as refined sugar and carbohydrates, in your diet, you may be better off making dietary changes before jumping into fasting. Let me know what your experience with intermittent fasting has been like or if you have any questions, leave them in the comments below.